Digital marketing, often referred to as online marketing, can include many popular forms of internet advertising. Digital marketing firms understand how each aspect of digital marketing can contribute to an organization’s goals and design their services with this in mind. Firms offering digital marketing services specialize in marketing tools such as display advertising, in-game advertising, and various forms of content marketing. Often, they provide additional solutions focused on creating a stronger web presence such as responsive website design, search engine optimization services (SEO), and overall online marketing strategy. Businesses frequently accompany their digital marketing efforts with other forms of marketing such as traditional advertising. Digital Marketing reviews by real, verified users. Find unbiased ratings on user satisfaction, features, and price based on the most reviews available anywhere. 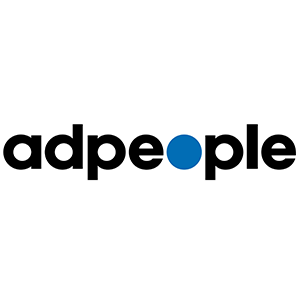 AdPeople Worldwide is a global advertising agency network that operates in a digital world. OneDesk is a mobile DSP offering programmatic buying solution to optimize campaign performance. 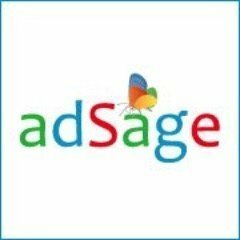 AdSage.Social is a social media marketing software that is a Facebook marketing tool with multiple accounts management, mobile ads creation, and rule-based campaign optimization capabilities. Ad Up is a social media merketing solution that covers a range of inNovative advertising formats, covering the most diverse needs of advertisers - from performance to content to brand marketing. We work hard to understand our customers' needs and pains to provide working solutions that maximize ROI and business impact. Adzooma is a ‘hands off’ way to get more leads and sales and grow your business through online advertising. Using a customised approach, the Adzooma team find out what your business is all about and then create adverts on Google to attract new customers to your business. As part of this, you get a purpose-built, high-converting web page to professionally showcase your business. The best part is everything is done for you by an expert team that’s qualified by Google, at a fraction of the cost of hiring an agency. Ego/Agency is an agency that creates, designs and consolidates digital concepts for all types of clients. Agencia Trii is prepared to accompany the rapid advance of communication, connecting companies, consumers and ideas. We are an eclectic collective of talented problem solvers. Strategists, designers, writers and technicians all working together towards a common goal: create valuable and memorable experiences that get people to take action. Agnian is a full-service digital agency and startup accelerator with offices in London, UK and Yerevan, Armenia. Agreed Technologies utilizes top marketing tools to get long lasting organic SEO results for brands of different kinds. Our core website solutions of calculated creation and managed performance are designed to build websites that both impress visitors and achieve business objectives. Alipes is a digital strategy, media production, and creative communications agency. Anchored in the strong belief that brands like people- have soul, Alma Advertising searches for that intangible fiber that touches the lives of consumers creating relevant and unique business building communication ideas that bond them with brands as Soulmates. altima is a leading, independent digital agency specialized in e-commerce activity. We work for companies who know that technology and ideas are opportunities, but experience strategy & design create true disruption and sustainable value. AMP Agency is a full service marketing agency with offices in Boston, New York and LA. Amplimark is a branding, digital marketing and creative agency. We create connected brand experiences that help people achieve their ambitions. Our mission is to use digital to make the analog world better. Weâ€™re and company, we love what we do and weâ€™re pleased to meet you. Anomaly is a difficult to define, but exciting to work at 'new model' agency. Driven by a passionate and entrepreneurial culture encompassing a diverse, elastic set of skills, Anomaly has offices in Los Angeles, New York, Toronto, London, Amsterdam and Shanghai. Antidote is an advertising agency that creates ambitious ideas that transform brands and businesses. Antidote 360 is a healthcare marketing super-agency, assembled from specialists across the globe with unique expertise, but a singular mission: to breathe life into health and wellness brands, creating real value. ApolloBravo is a digital marketing firm, engaging consumers with integrated mobile promotion and social media solutions. Appency is a full service marketing agency providing app developers with services such as app analytics, public relations & media planning. Based near Liverpool Street in London, we are a small software company that offers companies of all sizes high quality mobile app development and responsive, mobile friendly website design services. App Promo offers Strategy, Marketing and Monetization services across iOS, and Android. Experts in mobility, our core business is the design of applications for mobiles and tablets. Arbormoon Software, Inc. (ASI) is a mobile development and strategy company specializing in iOS and Android. Archer Malmo is an independent, full-service advertising agency based in Austin, Texas. Founded in 2004, we specialise in the design and development of digital content for an ever-growing number of platforms and devices. We have offices in London and San Francisco. 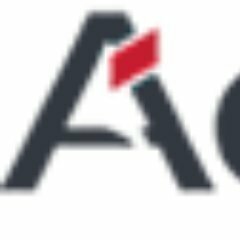 Argonaut is an advertising agency. Argonaut surprises and delights the world with work that drives business results and leaves a dent in culture. Argus is a full-service marketing and communications agency with a mission. Arrae is a full service creative agency that handles a broad range of design and development services spanning everything from identity and branding to custom application development to print and video media. We work with Inspiring Ideas and the Brilliant People behind them. Arvato designs and implements customized solutions covering a wide range of business processes along integrated service chains. Assembly is a fast-growing, modern media agency that provides brands with innovative media solutions powered by sophisticated planning and buying technologies. We are nearly 500 creative media minds and advertising technologists in a new breed model that unlocks true value for clients. We are a proud member of the MDC Partners family. Athenaum produces inspired creative and bright ideas for publications, brand identities, ad creative, and digital web experiences for organizations and brands. Atomic Motion is an Ottawa based design and web development company specializing in design, digital marketing and app/software development. Helps you develop and manage entire digital campaigns driven by lead magnets, social media marketing campaigns, email marketing campaigns, and more. ATTN! Marketing PR is a specialist Digital PR and Communications Company. ATTN has earned a reputation as one of New Zealand's more most influential PR companies taking stories beyond regions and into national and international media. We are innovators in developing next tech digital experiences -- developing and applying new/emerging B2C and B2B mobile, web, digital technologies and apps in ingenious and powerful ways. Offers integrated solutions for branding, creatives, advertising campaigns, ATL and BTL for digital, social and traditional media. You want to bring your business to the attention of your prospects, and thatâ€™s exactly what we do. Avalaunch specializes in many aspects of online marketing, promotion and optimization. Avex Designs is a creative digital agency and web design company in New York City that partners with brands, agencies and start-ups to create engaging experiences. B2P Partners offers prospect-centric B2P marketing designed to help B2B marketers get more results from what they are already doing. Backelite is an agency that accompanies leading brands and startups in designing, creating, and optimizing digital services around their customers' needs. Through multiple social channels and tools, Bad Rhino brings your company to the next level, encouraging transparency and immediate response to your customers. Balance Interactive is a full-service brand strategy & large-scale website design agency. Our facilitation of great ideas, combined with deep technical expertise, have produced impactful experiences for businesses. Hi there! Can I help you find the best Digital Marketing solutions?